Players engaged in business process outsourcing (BPO) in healthcare sector in India are facing stiff competition from their Filipino counterparts, noted a recent ASSOCHAM-EY joint study. 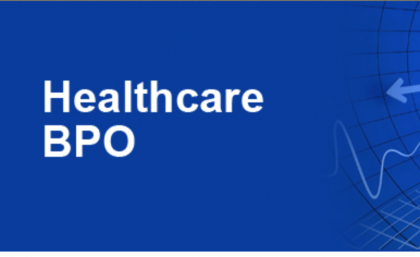 “The Philippines and other low-cost locations are emerging as a big challenge to Indian BPO industry including the healthcare vertical,” noted the study titled, ‘Medical Process Outsourcing in India,’ jointly conducted by The Associated Chambers of Commerce and Industry of India (ASSOCHAM) and global professional services organisation EY. “Competition from leading healthcare BPO companies in the US is a big challenge for Indian vendors, since most of them are specialists in the healthcare sector and provide an increased gamut of services as compared to Indian vendors,” highlighted the ASSOCHAM-EY study. Hence, to provide outsourcing services to overseas vendors, the Indian vendors need to comply with international standards of security and privacy, since this can result in business being attracted or lost. Another challenge in this industry is the fact that global/local service providers with IT and BPO capabilities and with the capability to provide integrated solutions, with big data/analytics capabilities and high investment in this area are likely to have an advantage over pure-play BPO vendors. Rising salary levels, inflationary pressure on overall cost of infrastructure, fluctuating exchange rates and infrastructural challenges such as power, broadband connectivity are other challenges that the Indian BPO industry is faced with, according to the ASSOCHAM-EY study. Although India has grown as a preferred outsourcing destination for healthcare BPO services, several concerns regarding policy framework in terms of tax laws, data privacy laws, intellectual property (IP) protection laws and clinical trial laws exist. Indian IT-BPO companies face strict and complex tax regime due to controversies on characterisation of income and transfer pricing issues relating to provision of research and development services. Besides, India has strict regulations for granting additional patents on previously patented molecules. Inadequate research and development (R&D) incentives to contract research organisations (CROs) also impact the R&D outsourcing in India. Changing regulatory mechanism and the time taken for approval of clinical trials in India has resulted in pharma companies running clinical trials in other countries, the study noted. While the government is gradually taking steps to provide more clarity on these laws, the current scenario is adversely impacting the healthcare BPO market in India, noted the ASSOCHAM-EY study. The study also highlighted that the most preferred destination for payer and provider outsourcing in India is due to various advantages such as high number of healthcare professionals available at affordable cost, a large patient pool and reduced time and costs for recruitment. Payer market in India is estimated at $700-900 million with top BPO and IT vendors having presence in this segment. India is estimated to have a considerable share in payer outsourcing market as a destination and is leading destination in this segment along with the US and Philippines. US regulatory changes, margin pressure on payers, demand for niche services, demand for new markets, big data/analytics are certain key drivers in the payer market. While increased regulatory governance of payers as well as control of fraud, waste and abuse together with competition from global software, IT consultants and BPO vendors are key challenges in the payer market. Loss of revenue due to billing error, know-how of minor services, margin pressures, healthcare uptake in India, ICD-10 coding standards’ adoption, structured documentation and consolidation in market are key drivers of provider market in India. However, lack of expertise on global medical coding standards, laws and policies pertaining to healthcare benefits in the source country, inadequate skillset for documentation and medical record management are some challenges faced by the industry in India. A far off-shoring location of Indian vendors for providers in the West is another dampener since most providers prefer outsourcing near-shore, due to nuances involved in the process being outsourced and the comfort level of providers. Besides, preference for skilled doctors, competition from hospital management companies and concern on benefits of outsourcing are certain other challenges being faced by Indian players in the provider market.